Due to the work of Sen. Pat Browne, the Neighborhood Investment Zone (NIZ) was created in 2009. This effort encompassed working with two governors, Governor Ed Rendell and Governor Tom Corbett, their gubernatorial staff and 2 key revenue secretaries, Dan Meuser and Dan Hassell. For those who are unfamiliar with the NIZ, it is a special taxing district that encourages development and revitalization in downtown Allentown. The NIZ consists of approximately 128 acres in downtown Allentown and the new Riverfront district (the western side of the Lehigh River). All taxes generated in the NIZ (with the exception of school district and city taxes) can be used to pay debt service on any financed improvements within the NIZ. 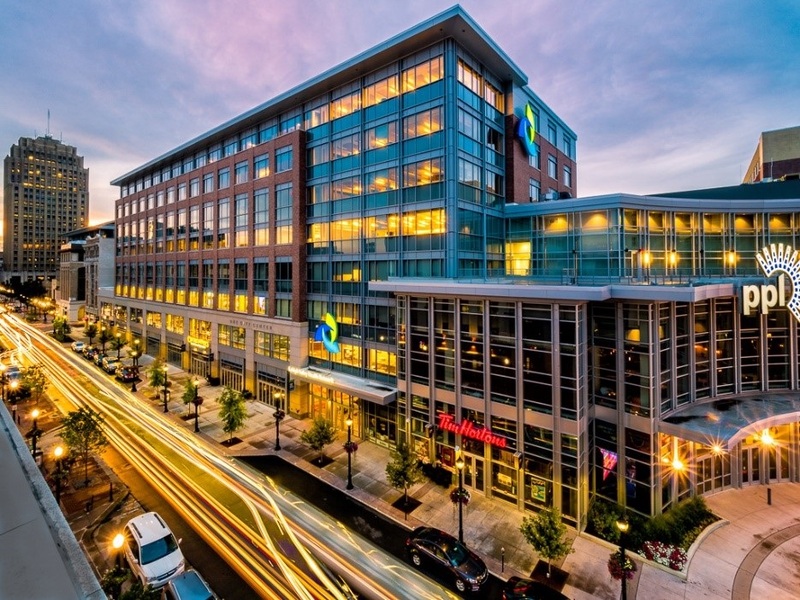 Pugliese Associates is proud of its involvement over the years with the NIZ working with several clients of the firm who are Lehigh Valley developers and more especially with Sen. Browne, the architect of the NIZ, to bring about transformative change to the City. Sometimes when you mix vision and legislation incredible things happen. When Pugliese began the work on what would become the Neighborhood Improvement Zone (NIZ) legislation, none of us could have imagined just how successful those efforts would eventually prove to be. It is no exaggeration to say that from the ashes of the former city’s core, a true Pennsylvania phoenix has risen. Today, the Allentown NIZ has been awarded the Urban Land Institute’s Global Award for Excellence for 2017-18, elevating the city as a leader among cities worldwide. We, at Pugliese Associates, offer our wholehearted congratulations to Allentown, J.B. Reilly, and especially PA Senator Pat Browne, for seeing through one of the most amazing urban renaissances in our Commonwealth’s history. This highly prestigious, global recognition firmly places Allentown’s NIZ and its great success on par with 12 other awardees around the world, including in Bilbao, Spain; Chicago, IL; Houston TX; Emeryville, CA; Kashiwa City, Japan; Vancouver, Canada; Milwaukee, WI; Singapore, Singapore; San Antonio, TX, New York, NY; and Toronto, Canada. For nearly two decades, the core of Allentown was an economically distressed eyesore and literally sinking into the ground. The NIZ helped to convert what had been roughly $5 million worth of downtown real estate into $1 billion in downtown investment and revitalization. Early on, developers like J.B. Reilly envisioned a new Allentown that would make the city, and the entire Lehigh Valley, more attractive to families and businesses alike. 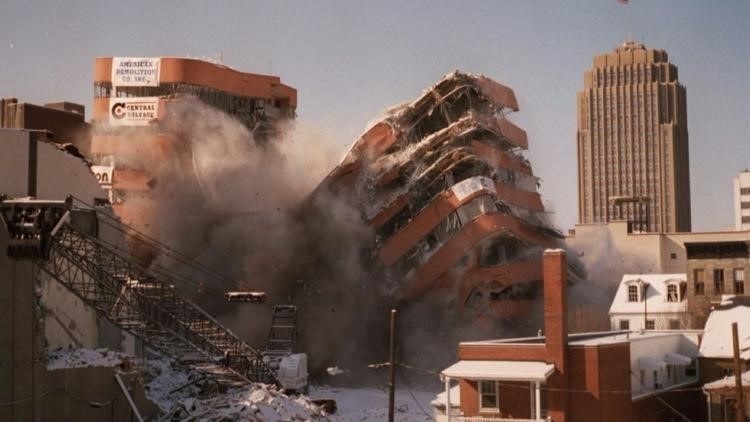 Corporate Plaza was imploded in 1994 due to a sinkhole. The site remained an eyesore for nearly two decades until the NIZ-related development began. For many who only knew the city from years past, its transformation makes it almost unrecognizable today. Now the state’s fastest growing city, it’s skyline is new and forward-looking. Since the NIZ, 3,000 more people are working downtown in over a million square feet of new, office space. And many of those new workers now call downtown their home in one of the hundreds of new apartments. New retail, coffee shops, art studios, restaurants, pubs, and greenspace all help to make Allentown the new regional center for business, culture and an exciting metropolitan lifestyle. Best of all, this is only the beginning as Allentown’s urban renewal continues to expand to additional neighborhoods and the waterfront district along the western side of the Lehigh River.